Welcome to VIVES University College. 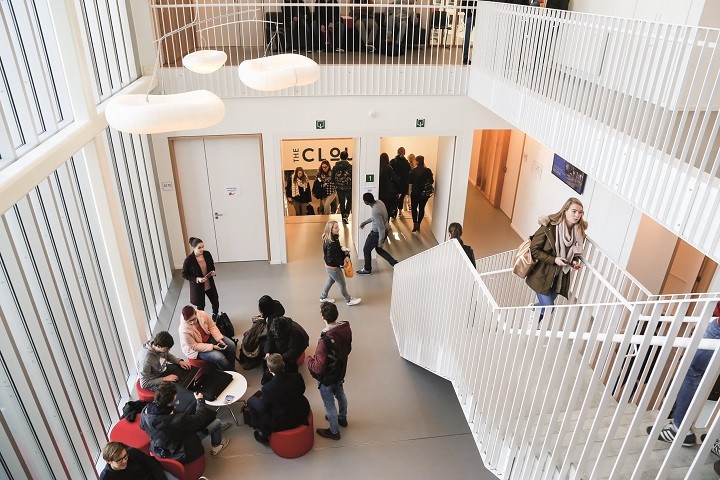 This new college is the result of the cooperation between KATHO, with campuses in Kortrijk, Roeselare, Tielt, Torhout, and KHBO, with campuses in Brugge and Oostende. At this moment, mergers in the field of higher education are a common trend in Flanders. 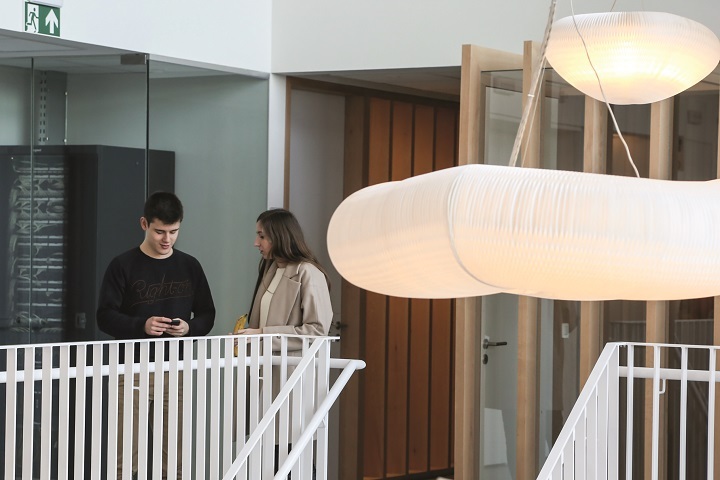 With approximately 13,000 students, VIVES is the biggest university college in Flanders. VIVES University College, with its modern and competency-based higher education, its innovative, practical research, and its services provided to society, offers an adequate response to today’s and tomorrow’s social challenges. VIVES is an appreciative, friendly, and people-oriented university college which concentrates on professionally oriented Bachelor Degrees and Associate Degrees. In doing so, the university college ensures that its students contribute to the globalised world both as human beings and as professionals. Becoming the best you can be. Students and lecturers continue to develop their strengths and deepen their personal and professional identities with enthusiasm. They make choices that are in keeping with their talents and goals. Managing your own learning process. Students and lecturers manage their own learning process. As professionals, they are committed to lifelong learning, and to broadening and deepening their understanding and expertise. Learning from and with each other. Students and lecturers learn together as a team. They build their own professional network with opportunities for informal and interdisciplinary learning. To accomplish that, they make full use of the facilities of the digital world. Finding your way in higher education. To assist students in making the right choices, and in order to help them climb the learning ladder, VIVES works together with its educational partners. VIVES also fully recognises previously acquired competencies. Engaging in active dialogue with the workplace and society as a whole. Students and lecturers learn from and with external parties. They take a critical view of society and make their expertise readily available outside the university college’s environment. Shaping the inspirational education of tomorrow. Students and lecturers work in a challenging learning environment, which may or may not be independent of time and place. Innovations capitalise on research results and on the expectations of current and future generations of students, the working environment, and society. Preparing for the jobs of the future. Students and lecturers strive to acquire the competencies needed for today’s and tomorrow’s professions. The interaction between theory and practice challenges them to push their boundaries. Education, practical experience, and their own practice-based research are interwoven to that end. The Bachelor of Business Management programme is designed for Belgian and international students who wish to gain a profound knowledge of different management domains and obtain an international business degree within the intercultural context of a globalized world. International fellow students, foreign lecturers, study trips and exchange possibilities will enhance the cross-cultural awareness and communication. 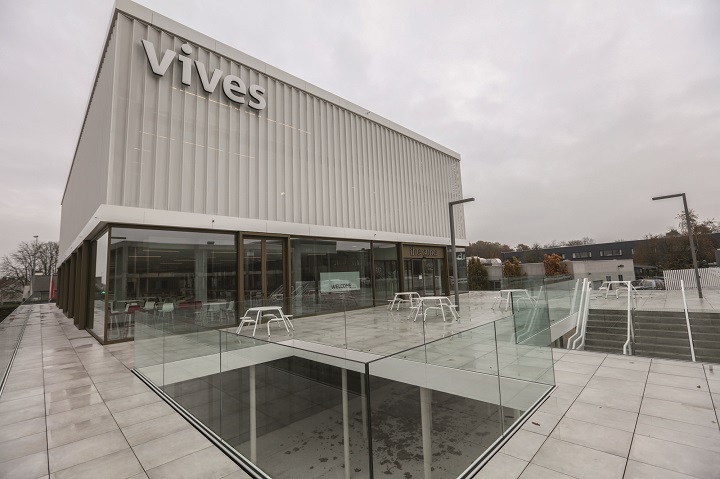 The Bachelor of Business Management, specialization Business Management & Entrepreneurship is organized at VIVES University of applied sciences, department of commercial sciences and business management, campus Kortrijk.